We install composite doors in the towns of Thame, Oxford, Bicester and Aylesbury and the counties of Buckinghamshire and Oxfordshire. A Combination of Premium Quality Materials. Modern Security for Your Peace of Mind. Thermally Efficient for All-Year Comfort. Composite doors are designed to bring harmony between a range of materials, allowing you to enhance your home with the best of each. 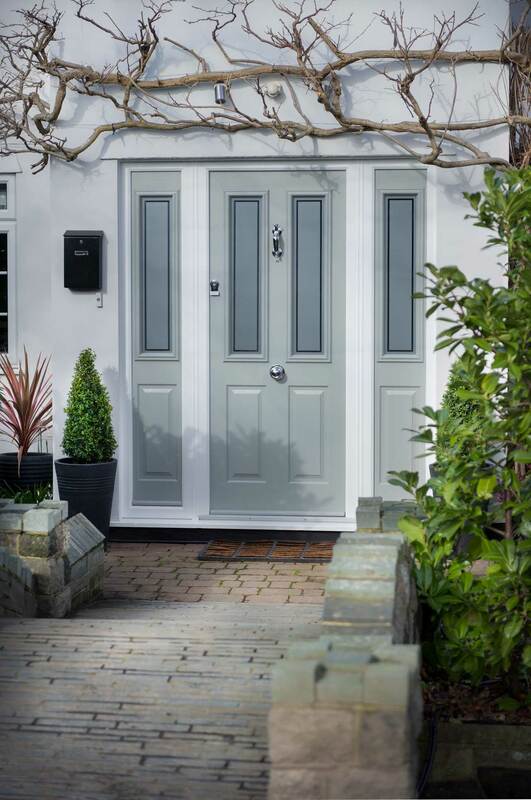 With timber, uPVC and Glass Reinforced Plastic incorporated into the design, our composite doors are able to offer a standard of quality that brings the best of modern innovations and traditional values. As composite doors capture a traditional timber look, you’ll be able to bring a new addition to your home that offers a classic appeal. With this in mind, there is no reason for you to fear any outdated problems. Our Solidor composite doors comprise a contemporary design, that allows them to offer modern standards of thermal efficiency, security, durability and performance for your peace of mind. All of our composite doors are able to achieve an impressive degree of thermal efficiency, easily exceeding Building regulation requirements. This means that our composite doors will not only be a beautiful new addition to your home, they will also work to keep you warm and comfortable throughout the colder winter months. With these doors installed into your home, you could also find yourself saving money on your heating costs throughout the year. 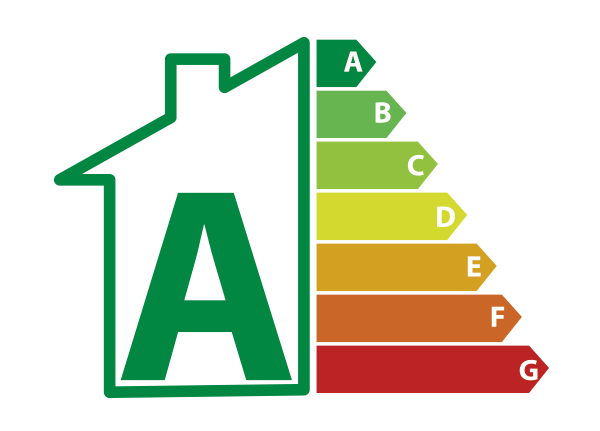 This is made possible through a heightened degree of heat retention, which enables the warmth from your central heating to stay in your property for a longer period of time. In turn, this means that you could rely on it less to keep you comfortable. 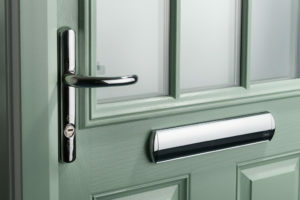 Our composite doors are designed to keep you safe, even against modern burglary techniques. 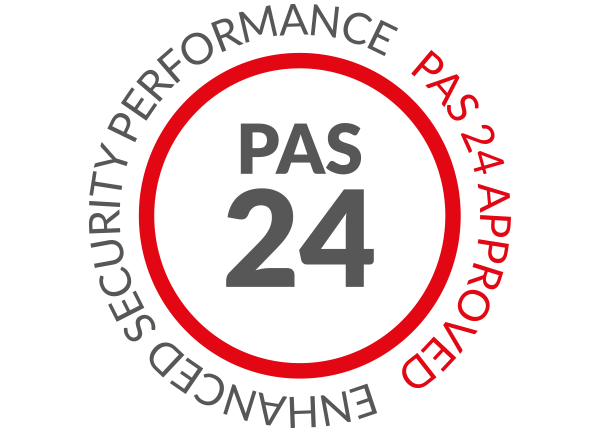 They have been tested to PAS24: 2016 standards, and feature a range of Secured by Design certified locking systems to help you bring police preferred standards of security to your home. You’ll be able to enjoy the complete peace of mind that comes with unrivalled security. The composite doors that we offer feature a solid timber core, and we integrate the locking systems into the frame to ensure they can’t be used as leverage point to gain access. When these factors are combined with the highly durable outer layer, you can rest assured that your door will be able to offer you a consistent standard of security. We know that you’ll want to bring a personal touch to your property when you’re looking to make it your home. 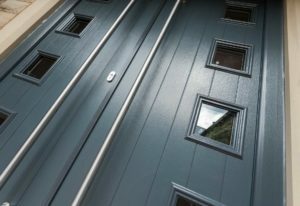 This is why we offer a wide range of beautiful colours, door styles and door furniture options for you to choose from. Whether you’re looking for something that truly captures the modern age, or something that offers a more heritage feel, we can help. 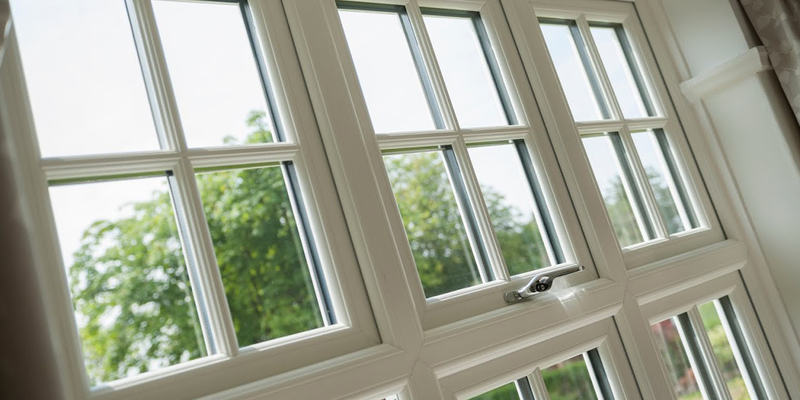 Alongside this, we also offer a wide selection of glazing options for you to choose from. This means that you’ll be able to bring the ideal finishing touch to your home, allowing you to control the amount of natural light entering your home, as well as the privacy that you have. We also offer a selection of decorative options for you to choose from to really capture the eye. 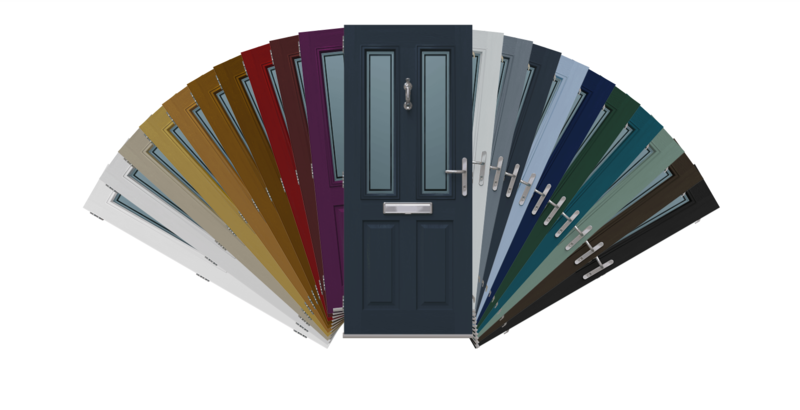 Visit our online quoting engine to get a free, instant and highly competitive composite doors quote in no time at all. Simply follow the step by step process to tailor your price to your exact specifications, allowing us to make things as cost-effective as possible for you. You can also get in touch with us via our online contact form to speak to a member of our friendly team. 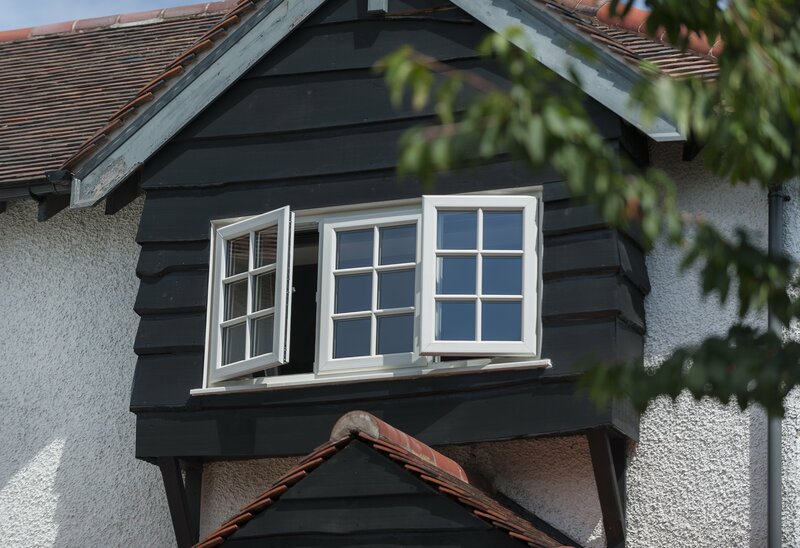 We’ll be on hand to offer you a quote this way, or you can contact us should you have any questions regarding our doors or our prices. 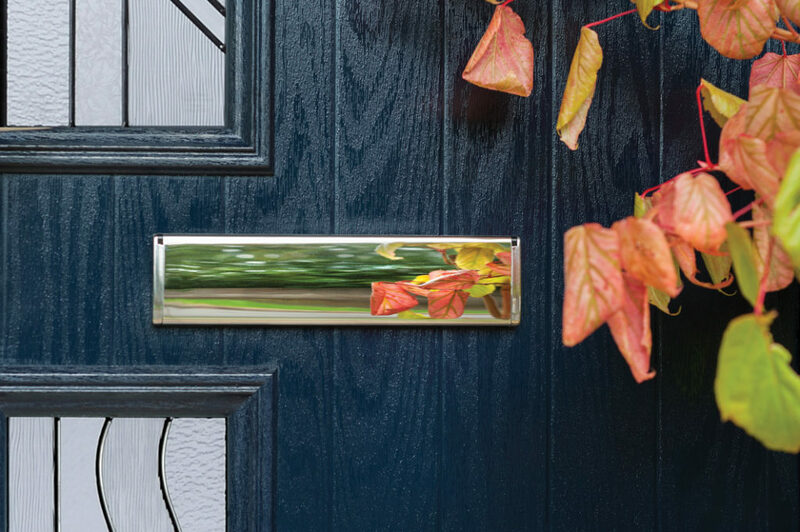 Our composite doors are manufactured using a market-leading Solidor design, which ensures your home will be enhanced by cutting-edge standards. To ensure the composite doors that we offer prove to be a worthwhile investment for your home, they comprise intelligent design and a durable outer layer. Although these doors echo the look of timber, they do not suffer from any of the maintenance setbacks that commonly accompany the material. Secure down the core and enhanced with high security, leading locking systems, our composite doors offer you peace of mind with style. Bring a personal touch to your door with our wide range of beautiful furniture, each range offering different functionality and aesthetics for you to enjoy. Enhance your home with a wide range of popular styles, including the elegant Milano option or the quintessentially cottage Flint design. It doesn’t matter how solid your door is if the multipoint locking mechanism has an inadequate cylinder lock it can be easily compromised. All our composite doors come with market-leading Ultion Locks to offer you the ultimate in home security. Our composite door come equipped with Ultion locks to offer homeowners like you the very best in home security. These state of the art locks activate a lockdown mode which is when a suspected attack is detected. To prevent potential intruders from gaining entry, the Hidden Attack Lock features a hidden pin which secures a central cam. 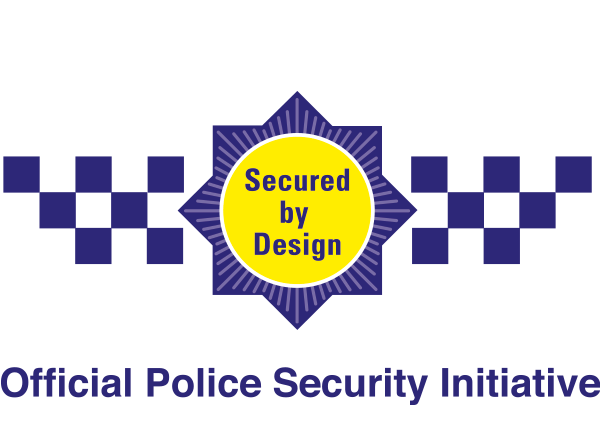 Our Ultion locks have been stringently tested to achieve the highest Kitemark star rating along with Police approval. Moreover, Ultion locks have been tested by the Master Locksmith Association and achieved the Sold Secure Diamond, the highest status possible. Most security locks usually feature 5 or 6 pins. Using 11 pins, our Ultion locks produce three times as many combinations, a remarkable 294,970 combinations. This extra protection will offer you an incredible sense of reassurance. Incorporating strategically placed steel elements, Ultion security locks can guard against drill attacks. The 20 hardened steel pins and plates are precisely located to protect your property from unwanted intruders. 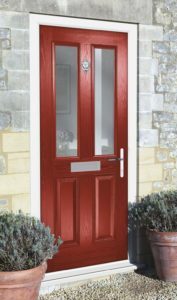 A composite door is a modern alternative to a timber front door, usually combining timber, uPVC and glass reinforced plastic to bring exceptional performance. Can I Paint My Composite Door? Due to the highly durable skin that we use across our range, there is no need for you to paint your door over the years. How Do Composite Doors Open? Composite doors can be installed to open inwards or outwards, depending on your specifications and the space that you have.